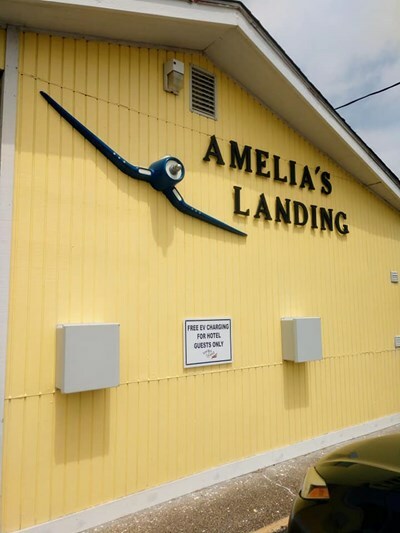 Two charge bays are for the use of guests of Amelia's Landing Hotel only. Free charge for registered hotel guests! Check in with the hotel front desk for more info. EV charging for Amelia's Landing Hotel guests ONLY. This is not a public charge station. These two EV chargers are for hotel guests only. See the front desk for access.